SHAH ALAM: Amidst claims that he lied, a forensics expert in the inquest into the death of Muhammad Adib Mohd Kassim stood by his statement that the injuries suffered by the fireman were likely not caused by assault. Hospital Kuala Lumpur forensics expert Dr Ahmad Hafizam Hasmi said he had fully disclosed all information regarding Muhammad Adib’s injuries and urged anyone who might have additional information to step forward. “I request that we obtain permission so that anyone with any other information regarding the death or injuries of the deceased that I have not collected during my clinical examination – I ask the coroner to call him or her to court,” he said. Dr Ahmad Hafizam said this while testifying before judge Rofiah Mohamad who is sitting as coroner for the inquest at the Shah Alam court on Tuesday (March 26). He read out a Facebook post by a woman who claimed to be a nurse and identified herself only as Amiera, who had claimed she had treated Muhammad Adib’s wounds. “If all staff involved can give a statement, I’m the first who will stand up and say that it is not by accident. “We saw his face, we saw the bruises all over his body and so many things I can’t even tell here. “We are not blind, and so (sic) you – a doctor should have a big heart, but for you, I just see a heartless human,” she wrote in reference to Dr Ahmad Hafizam’s earlier testimony. The woman has since retracted her Facebook post. 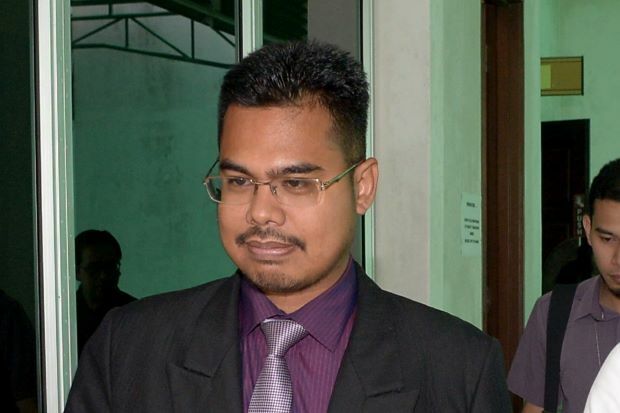 Dr Ahmad Hafizam said following the post, he had been criticised for his testimony. “Following the posting, I have been insulted and called a liar. “(However) I have found no injuries to the face of the deceased, whether during the clinical examination or during the postmortem. “Whatever injuries we have found during the postmortem or the clinical examination have been documented accordingly,” he said. He added that he made his statements to the court based on his examinations and what he deemed to be the most likely possibility. Muhammad Adib was critically injured in the early morning of Nov 27 last year after he and his team members from the Subang Jaya fire station responded to an emergency call at the Seafield Sri Maha Mariamman Temple where a riot was taking place. The fireman was taken to SJMC after he was found injured, before being transferred to the National Heart Institute (IJN) for further treatment, where he died at 9.41pm on Dec 17, 2018.